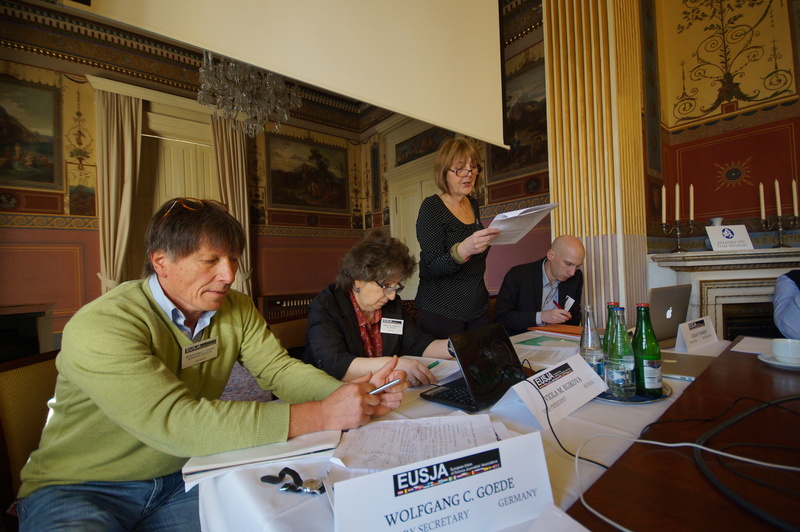 At last year’s General Assembly in Leiden I gave my solemn undertaking that the Board, with its two new co-opted members would do everything possible to raise EUSJA’s profile across Europe. 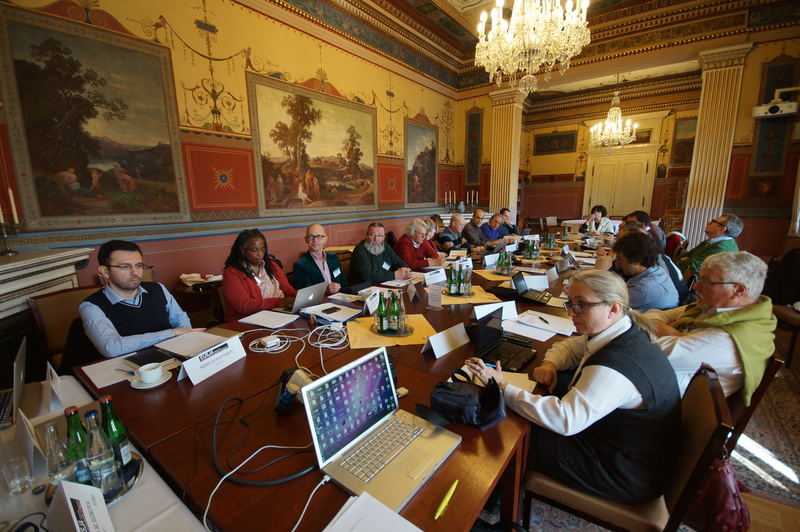 This I believe is vital so as to have EUSJA recognised as the first port of call when decision makers are looking to include science journalists in policy decisions as well as listening to what journalists have to say. I am delighted to say we have made real progress. We have been invited to a number of meetings and conferences and each board member, when attending, has taken Leperellos and networked to make sure delegates know of EUSJA. This has been hugely successful, judging from the increase in email traffic we are all receiving. I spoke recently at a conference in Dublin organised by Atomium Culture. I discussed Open Access and I have a copy of what I said here if anybody would like to read it. Briefly, I said we all applaud open access but cautioned that it could lead to a further loss of jobs for science journalists. Atomium Culture is a new and relatively unknown body but one which already attracts leading decision-makers and heads of European bodies and institutions. EUSJA is certainly known amongst these people and known for not being a passive association pleased to be given crumbs from the top table but a critical organisation with its own opinions and policies. 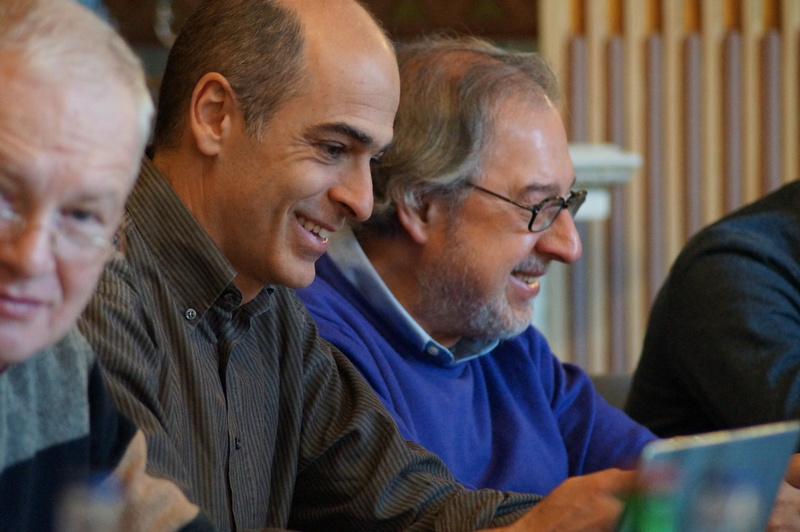 Fabio Turone also attended one of these meetings at which a European Science Media Centre was discussed and his forthright views were mentioned to me – all good stuff. We need to be remembered! 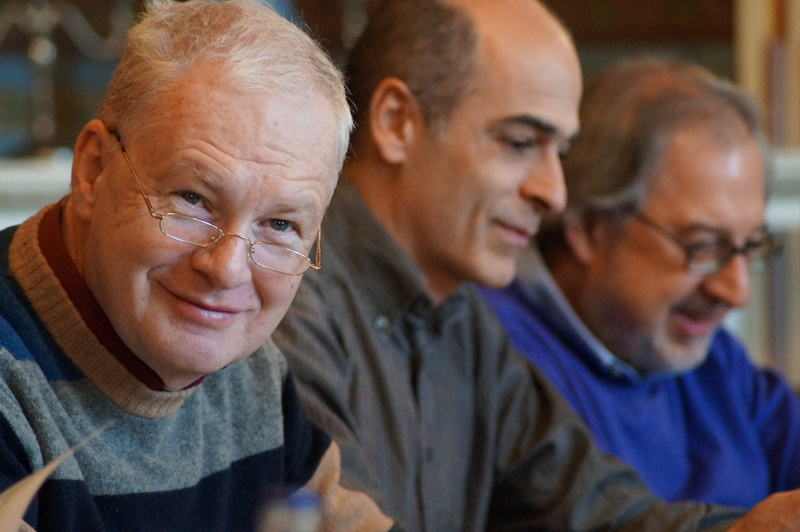 During my first year as president I decided to allocate tasks to each board member, giving them responsibility for their own area of expertise. This has worked really well. Menelaos Sotiriou, for instance has concentrated on sifting through the many invitations we receive to act as a media partner for those seeking funding from the EU. He has worked hard to ensure that EUSJA is not merely a name but has a role to play and receives funding to reflect this. Menelaos has prepared a report updating you of where we are up to with the many potential proposals we could be involved with and will be able to answer questions at the end of my address. Wolfgang Goede has been responsible, not only for secretarial duties but for organising speakers on EUSJA panels and sessions scheduled for the WFSJ meeting in Helsinki in June and the ESOF meeting in Copenhagen next summer. He is like a blood hound for sniffing out potential contributors and like a terrier not letting go of them until he receives an answer. Fabio, in addition to his valuable opinions on all EUSJA matters has worked wonders in updating our communications. He has single-handedly re-vamped the web site, instigated blogs and messaging services. In a few minutes Fabio will give a short presentation instructing us all how to post our own material. Fabio is also in charge of layout and design of EUSJA News with Anna Nolan and here I must apologise for the late appearance of our current issue. This should have been distributed before Christmas but sadly Anna Nolan has been ill with a nasty virus that fell in love with her. It wouldn’t leave her and kept re-appearing. Happily she appears to have finally given it the slip and is here with us today. 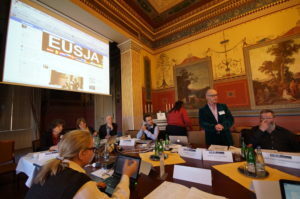 The next edition is scheduled for summer and we certainly shall appreciate your input with articles, commentaries and the like to make EUSJA News a unique European platform on science journalism. Elmar Veerman, despite having a demanding year – he has just become a father for the first time – has kept the finances from plunging into the depths. I know our finances are slightly down but considering we are in a recession and we have factors like the French association leaving EUSJA and not paying back-dated dues we are not doing too badly. 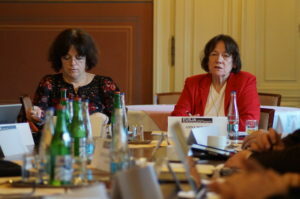 The French believe EUSJA in the past has been too much of a body organising study trips and not an organisation which is doing more to campaign for journalism. We have changed this, the French group understands and is not ruling out re-joining one day. Menelaos, in a few minutes will expand on our potential involvement in various EU proposals which look as if they will bring more money to us. Elmar has also found time to contribute to general policy discussions and can also be relied upon to give a considered opinion. I shall miss him as he stands down and thank him warmly for his work as treasurer and supportive colleague. Then there is Viola Egikova. Viola is a ready source of knowledge about all EUSJA past activities and personnel. She undertakes any query or task diligently and is superb at organising study trips and using our contacts to generate new visits. If I forward Viola details on an event which has been sent to us she right away contacts the organisers, suggesting they invite EUSJA members. Viola also uses her own contacts to suggest study trips and visits and is excellent at reminding potential hosts of past tentative agreements. The organisation of these trips is not easy yet Viola continues to handle them with tact and patience. 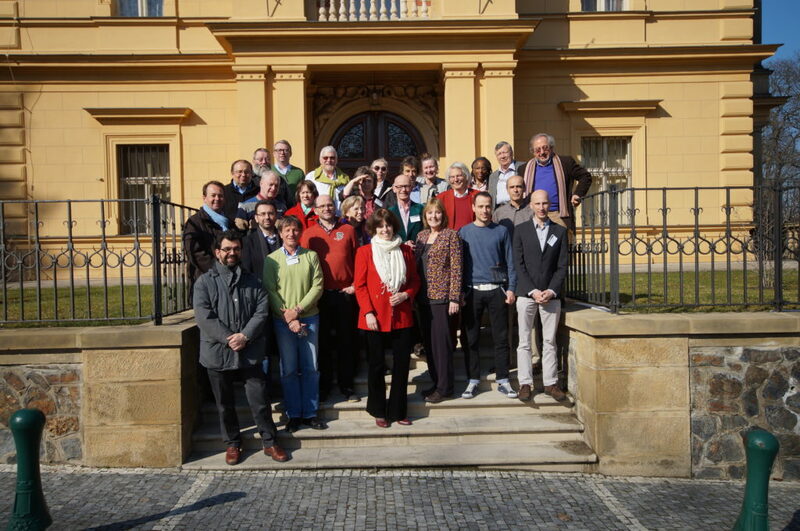 This year the Board has instigated and arranged four trips – Saarbrucken to study material and computer sciences; and ESF-FENS Conference on the Dynamic Brain in Stesa, Italy, the Lindau meeting and the amazingly successful visit to the Gastein Forum in Austria. This is an annual event discussing European health issues. We held a board meeting here and attended and contributed to sessions. So good were we that the organisers are more than likely to fund another study trip to this event and have asked us to consider running a panel, maybe focussing on journalistic training and showing what journalists need and expect from press officers. We had hoped for final confirmation of this before this meeting but as soon as we know for certain we shall announce it. I know money is tight and everybody is cutting costs. With this in mind we were most grateful to our Romanian delegate, Alexandru Mironov for arranging a study trip to Bucharest. The large EUSJA party that attended reported superb organisation, generous hospitality and an interesting physics-based programme. We should also thank the Dutch association for the study trip affiliated with last year’s GA and the Irish for their generosity in hosting a study trip attached to the European Science Open Forum meeting in July, held in Dublin. Viola has also announced three forthcoming study trips and early indications are that they are going to be well supported by EUSJA members. The Board will continue to seek out potential venues of interest but it is a fundamental ethos of EUSJA that member associations periodically organise visits to their own countries. I would urge all countries to considering how and when they can contribute in this area. We are also immensely proud of the fact that we have made real progress in two award schemes for EUSJA members. Jop de Vrieze and Olivier Dessibourg have set up the EUSJA Investigative Grant Scheme. Jop will tell us about this shortly. They have both worked incredibly hard on this and we are delighted and grateful it has come to fruition. Menelaos has also found funding for a Perseus Award and has been working with the organisers to ensure it is an attractive and accessible award for us all. We are counting on all of you to publicise these awards and to publicise, within your own country, the results when successful prize-winners are announced. What else have we been up to? Our participation in the ESOF conference was a great success. We organised a panel with an international array of speakers looking at the lessons learnt from media coverage of the Fukushima disaster. Our session was packed out. 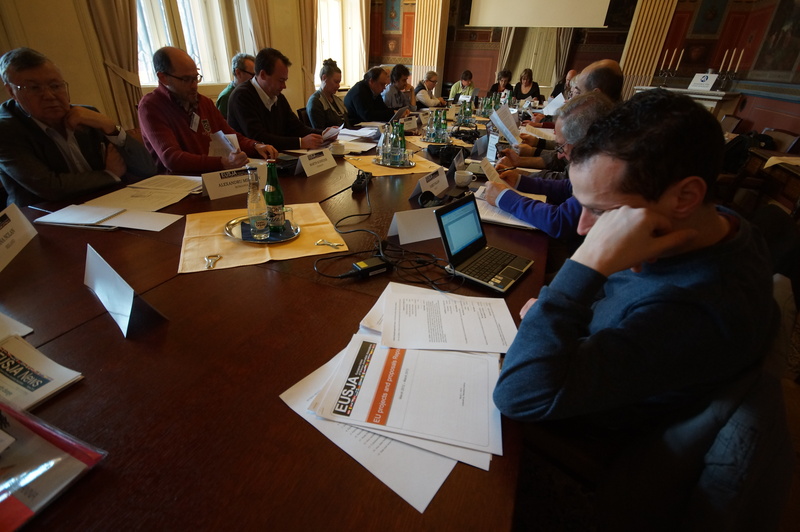 The format we used was short addresses from our speakers and then a number of round table discussions with report backs. This worked so well and we received praise and mentions after the event. This format was so innovative, involving the audience to actively participate that other conference organisers are now copying it. We also had an EUSJA stand complete with flags and sweets from delegates. This too was a source of great interest and thanks to our Danish friends who gave us funds to host a reception for them at our stand. We also had a good presence at the World Federation of Science Journalist’s Annual General Meeting where we stressed the importance of listening to EUSJA as well as European concerns and remembering that EUSJA’ with members Istvan Palugyai and Werner Hadron were amongst the founders of this world-wide group. This year we have nominated Istvan to represent EUSJA on the WFSJ board. We are now planning our roles in the forthcoming WFSJ conference where we are involved in a couple of sessions. I would also like to organise a form of speed dating at our stand and are looking to EUSJA members attending to take part. If you will be in Helsinki you will be a speed dating partner. Let me know and we can discuss further. 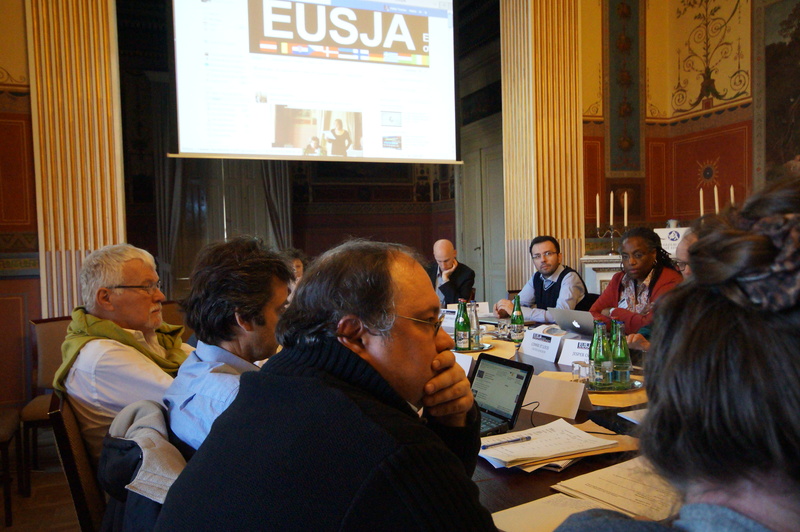 We have also been looking at the way EUSJA operates and listening to questions you have raised. Mercé Piqueras on behalf of the Catalan association, for example, has queries over the amount of subs large groups are expected to pay, groups which have affiliated members, not all science journalists. The World Federation has a cap and this is something we are looking at. We have had approaches that one vote for one country needs looking at again. Should each organisation have its own vote at the GA? The Board takes all requests and suggestion seriously and these and other issues will be discussed. If there are any requests please let me know and if you would like to add to these subjects let’s see if we have time under any other business. Here I would also like to add that we have, as promised, kept you informed of what we have discussed at our Board meetings. Reports of meetings have been posted on our pages. 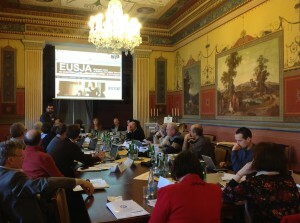 An important aspect of EUSJA membership is the networking possibilities and support from fellow members. It is important that we all communicate better and tell each other what our organisations are doing, any problems being faced and any innovative ideas to suggest others follow. I do urge you all to blog, add to the web site (an easy task we hope, after Fabio has given us an “idiot’s guide”). 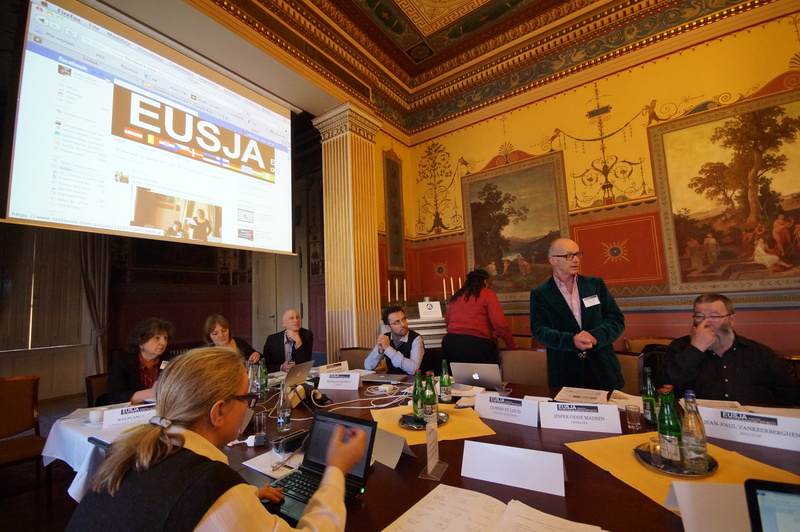 We are always trying to entice more countries to join EUSJA, such as Iceland, Malta and Cyprus and I urge you, when attending international conferences, to approach fellow journalists from European countries which are not members to consider doing so. This organisation needs all resources available. For instance we have recently had an approach from Mico Tatalovic who wants to form a group from Balkan countries and we are actively looking at this. I shall end by saying a big thank you again to Marina Huzvarova and the ASCR for hosting this GA and to all my fellow board members for their efforts and work throughout the year. Last but not least let me thank Marie Suchanova from the Euroscience office in Strasbourg who provides very much appreciated services. We are pleased to have consolidated our links with Euroscience. 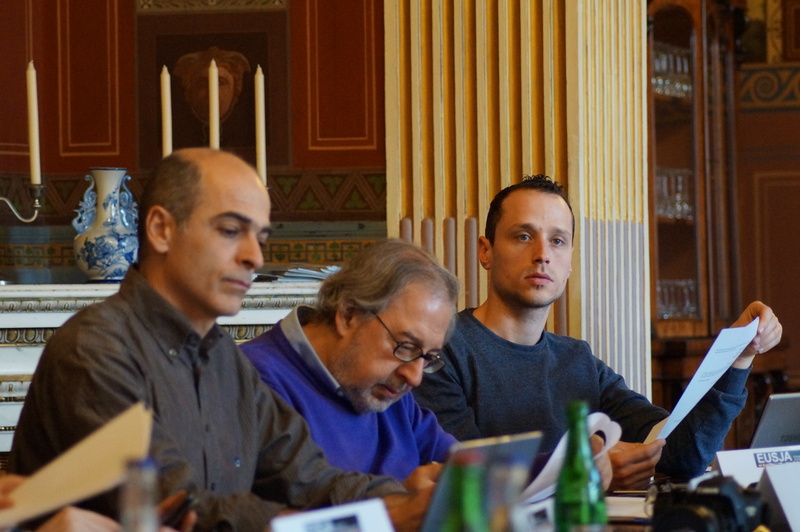 Things are moving, we are becoming a force to be reckoned with and we continue in our efforts to raise EUSJA’s profile, improve the lot of science journalists and do anything we can to generate work and stability for our colleagues throughout Europe.